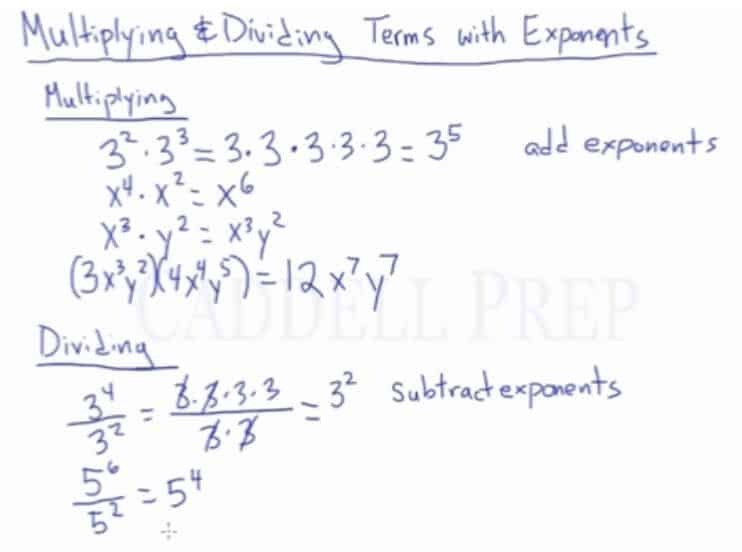 In this video, we are going to look at how to multiply and divide terms with exponents. Let’s go to Multiplication first. So instead of writing it all out, we just have to add the exponents. Let’s move on to a more complicated one. Now, let’s move on to Division. So in Dividing, we just have to subtract the exponents.